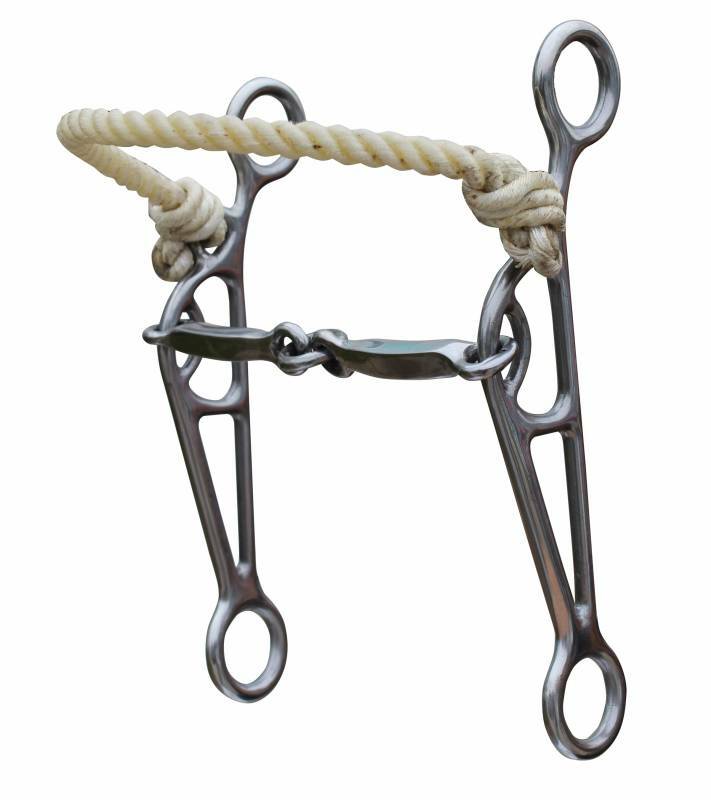 Has definite lifting action as well as external noseband pressure to increase laterals. 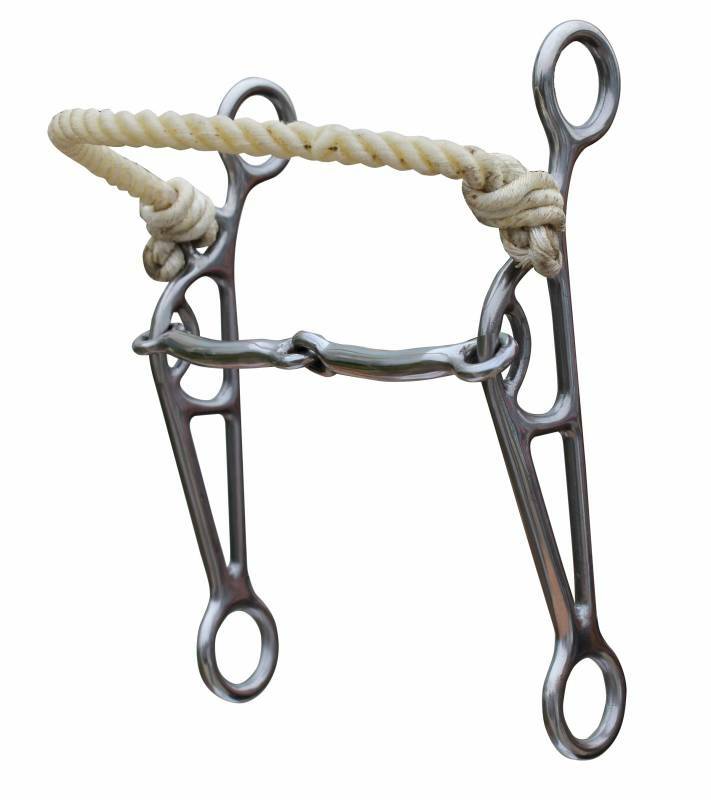 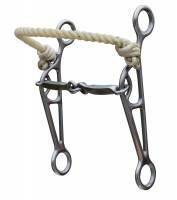 The snaffle is made of 3/8” sweet iron material. The mouthpiece is a four-break chain with a center link interrupting the continual pressure across the mouth. 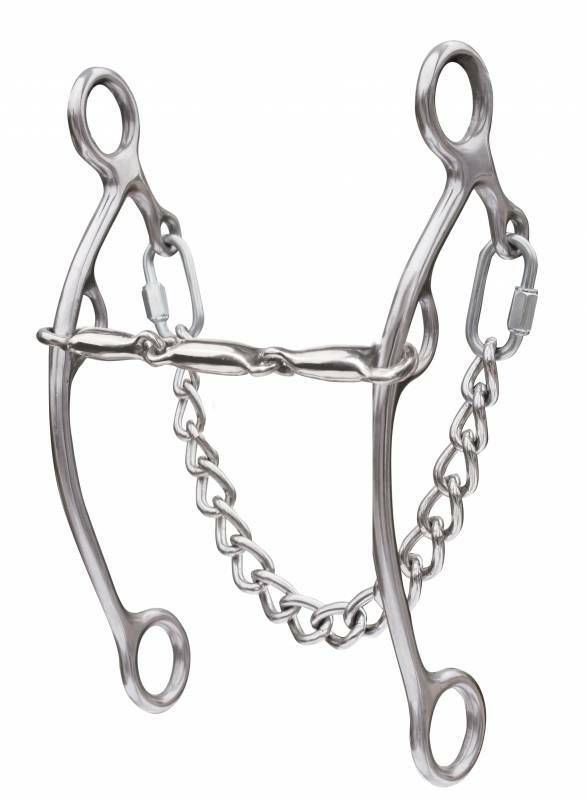 This allows for more intensity on the outside pressure points. 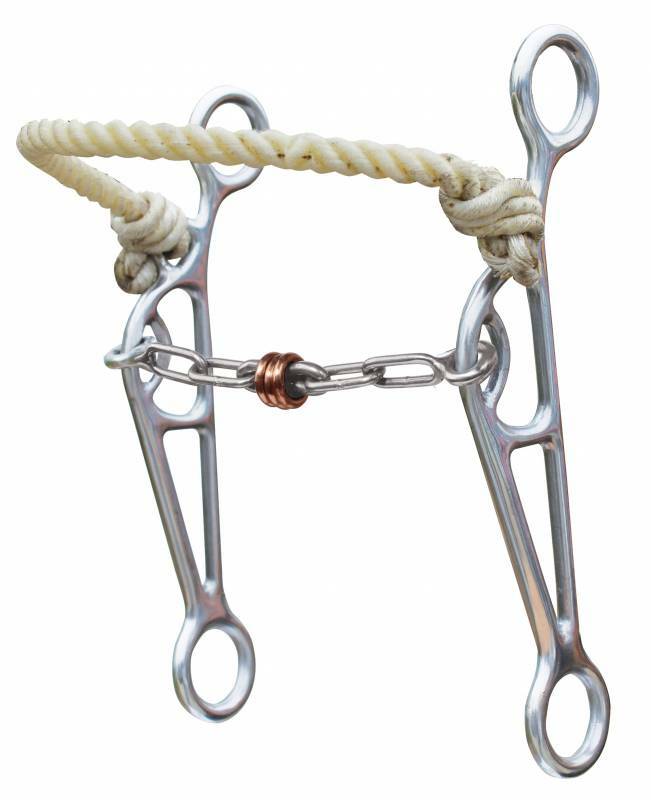 The copper center loose rollers aid in keeping the mouth moist.